Mark your calendars! Friday, February 1st begins an exciting collaboration with Meditative Vibes and Kim Kelly Fit in the beautiful new studio at the Del Mar Plaza. Sara Martin Thomas will lead you through her Yoga Body Fusion with secure wireless headphones. This is a mind/body work-out that combines the physical power of the body (cardio, balance & core work combined w/ the use of dumbbells, resistance bands, blocks, balls, and straps). Once you’ve worked up a sweat, this well rounded class balances you out with a yoga flow, focusing on uniting mind a body through breath, fluid movements, and meditation. Sara’s music and voice will be flowing through the headphones removing any distractions, so you can truly connect to yourself. 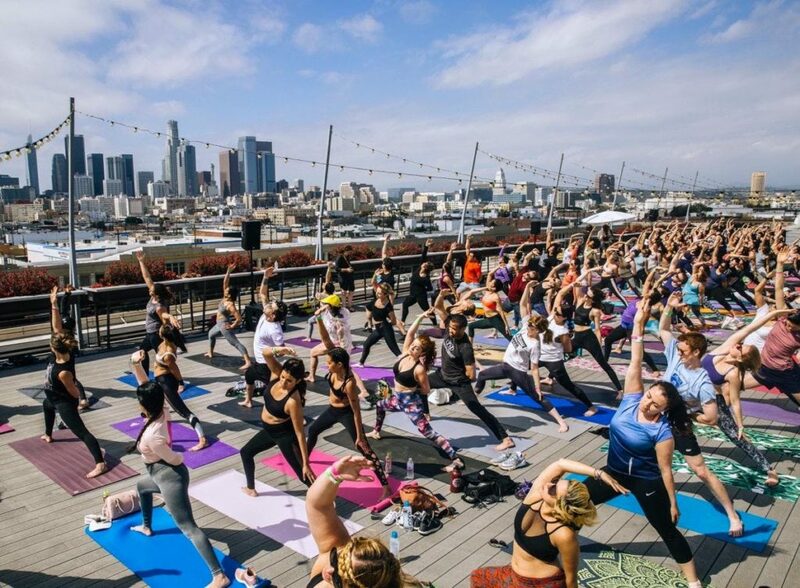 This is a unique yoga experience like you’ve never experienced before. What to Bring: Mat, mat towel, hand towel, water. This is a FREE class For Members. Bring a friend and they will get their first class FREE.